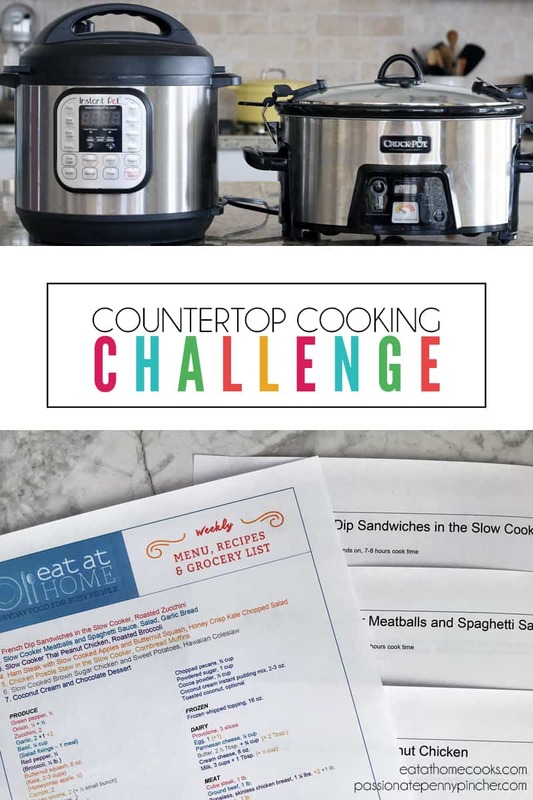 Countertop Cooking Challenge Day 6: New Video + Eat at Home Sale ENDS TONIGHT! 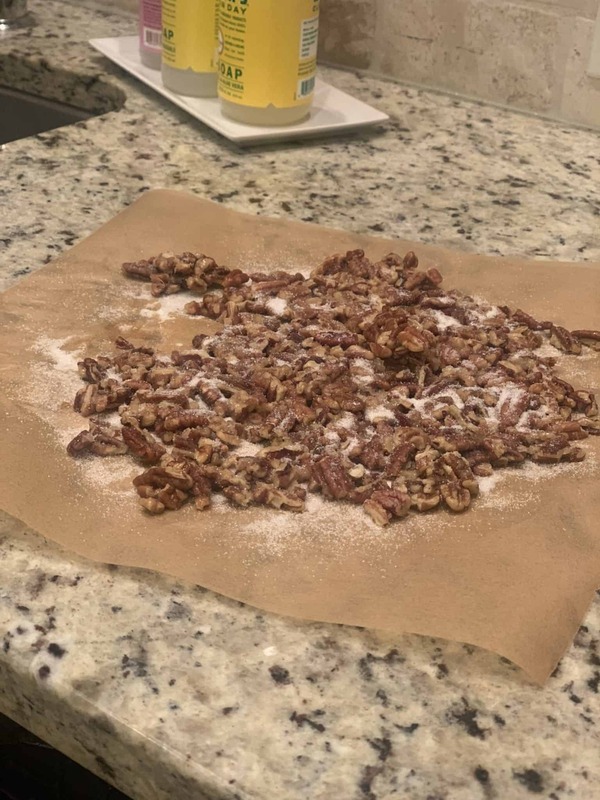 February 18, 2019 by Laurie Leave a Comment This post may contain affiliate links, which means if you click on a link and purchase something, I may earn a small commission (at no additional cost to you.) See my disclosure policy HERE. I am so excited about dinner tonight! Tonight was the last “catch up” day in our Eat at Home Cooking Challenge (I was behind a day last week because we weren't home one night for one of the meals), so I caught up and made the Apricot Soy Ginger Pork Chops in the Slow Cooker, and we're having them tonight with Edamame and Egg Rolls. So after one week of our challenge, our family saved a bundle on eating out, ate some seriously delicious food (I think the Jerk Chicken Sandwiches with Mango Cucumber Salsa were my favorite!) and I added a whopping 10 more freezer meals to my freezers too. 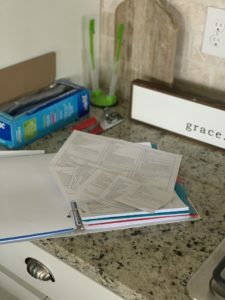 If you're struggling in your finances, I know that using the Eat at Home Menu Plans will make your life so much easier. 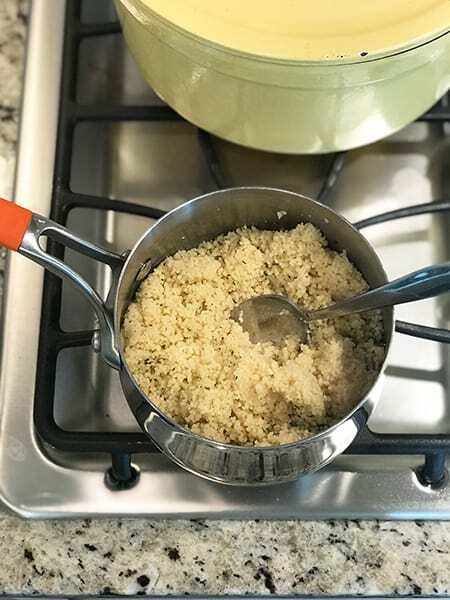 If you'd like to hang out with me as you make them, you can catch up on all of the videos as I've made in the Eat at Home Meals right over here on my Youtube Channel too. >>> TO JOIN IN THE FUN, USE THE CODE COUNTERTOP AT CHECKOUT TO GET THE BEST PRICE TODAY. 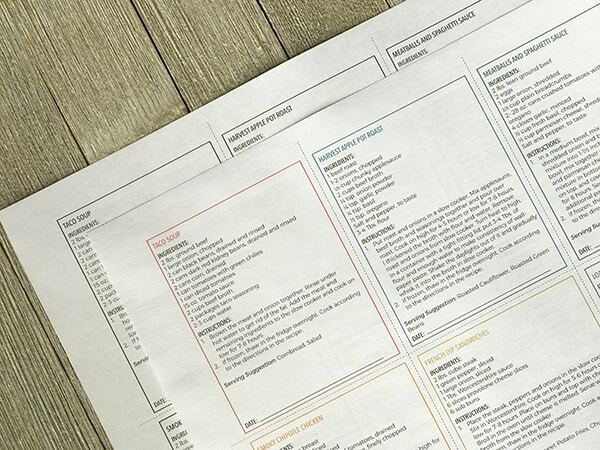 I really do believe these grocery lists and menu plans are a game changer if you struggle with getting dinner done each day. I'm amazed at how much stress this takes off our evenings (and our finances ~ we save SOOOOO much by not eating out when we have a great plan in place!) USE THE CODE COUNTERTOP AT CHECKOUT TO GET THE BEST PRICE TODAY. Curious what's included when you sign up? Here you go! Basically, you'll get 96 recipes with menu plans AND A GROCERY LIST, all included! 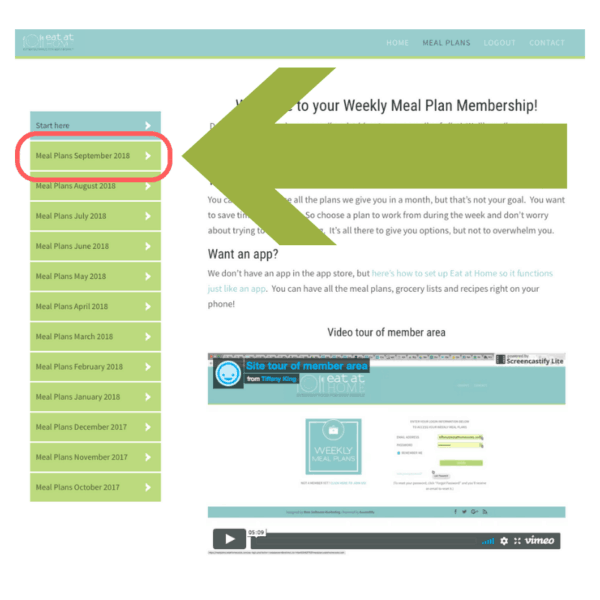 The menu plans cost as little as $1.13 per week when you sign up for a one year plan, or try out a 1 or 3 month subscription and see what you think. 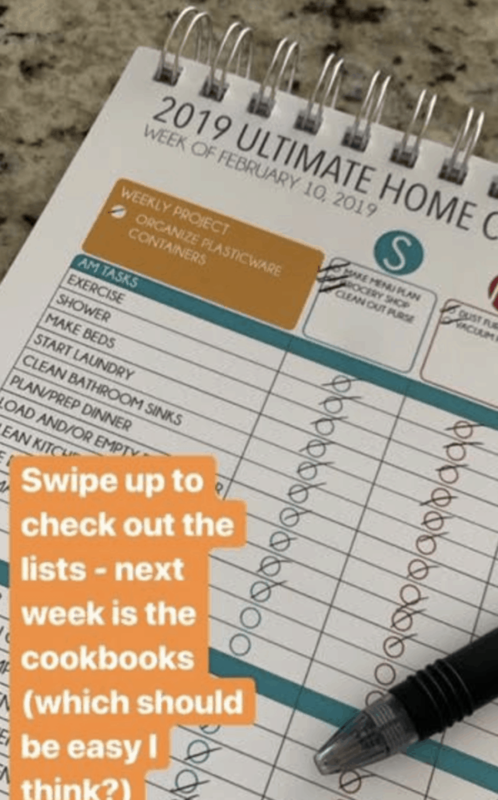 And, if you're like me you'll use the grocery list along with the Kroger Click List (watch the video above), and make grocery shopping and menu planning so crazy easy you'll have it done in 30 minutes or less. I sure hope you've loved this challenge as much as I have this week ~ thanks for joining me along the way (it's so much more fun to get dinner done when we can do it together!) I'm cheering for you! Looking for more ways to have dinner on the table? 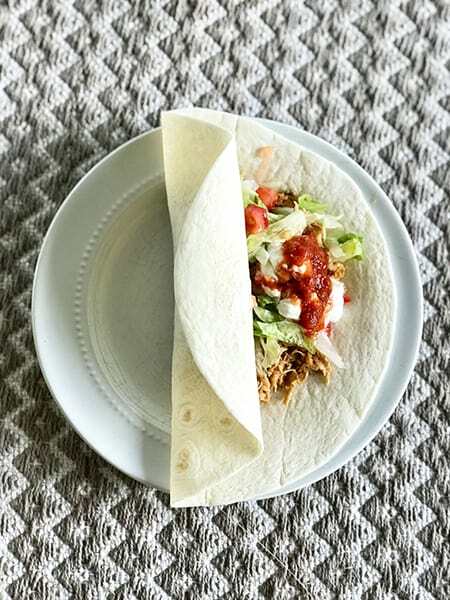 Be sure to sign up for my totally free Crocktober Cookbook with menu plan and grocery list. 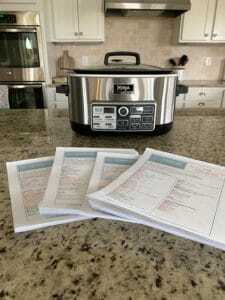 I can't wait to get started countertop cooking with you! 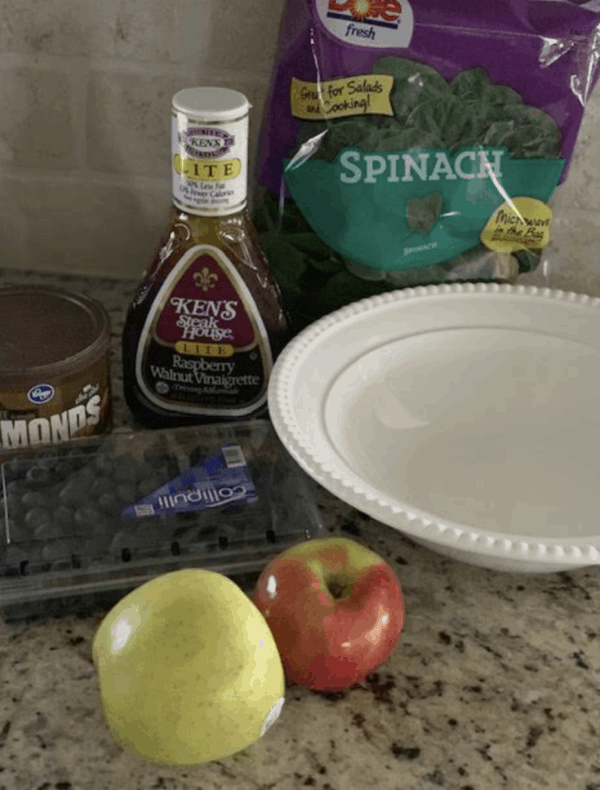 Eat At Home Challenge Day 5: YUMMIEST Sandwiches + New Video + Tupperware Cleanout! February 16, 2019 by Laurie Leave a Comment This post may contain affiliate links, which means if you click on a link and purchase something, I may earn a small commission (at no additional cost to you.) See my disclosure policy HERE. 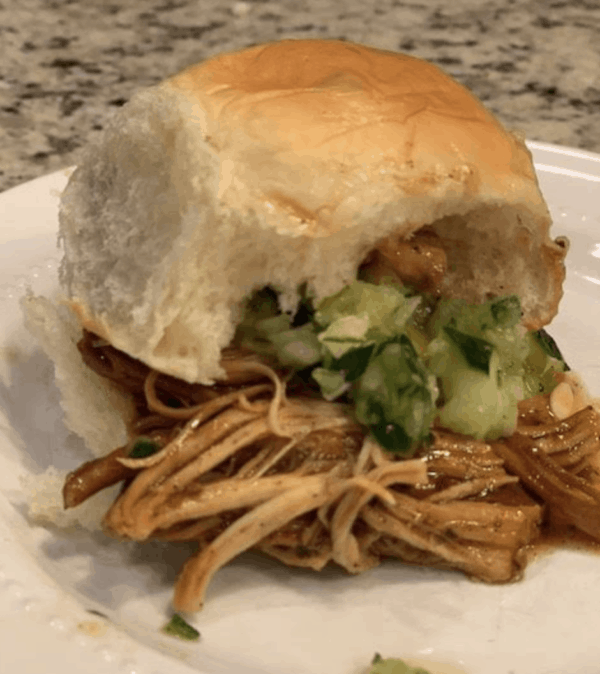 We made the Eat at Home Slow Cooker Jerk Chicken Sandwiches with Cucumber Mango Salsa last night and goodness, they were so good. It took about a minute to prep the meat and another 3 minutes to make the salsa, and in under 5 minutes dinner was done. 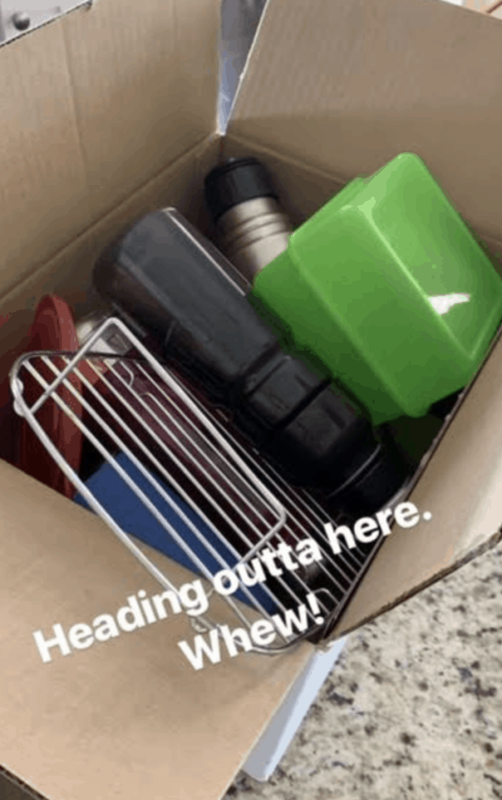 Because I had so much time on my hands with all that easy cooking (*ahem*) after I was finished cooking I also tackled my Plasticware Containers cleanout from our 2019 Ultimate Home Checklist. It took less than 10 minutes, and now my space feels so. much. better. >>> IF YOU NEED TO JOIN ME, USE THE CODE COUNTERTOP AT CHECKOUT TO GET THE BEST PRICE TODAY. It's going to do be a great week! Eat at Home Freezer Cooking Challenge Update: 8 Meals In Under 1 Hour? February 14, 2019 by Laurie Leave a Comment This post may contain affiliate links, which means if you click on a link and purchase something, I may earn a small commission (at no additional cost to you.) See my disclosure policy HERE. I'm thrilled that I finished up our Freezer Cooking last night! It took about an hour, but I finished up 8 meals to fill our freezer, so dinner is done for at least a few busy weeknights. They delivered my groceries . . .
And in under an hour eight meals were done. Now . . . 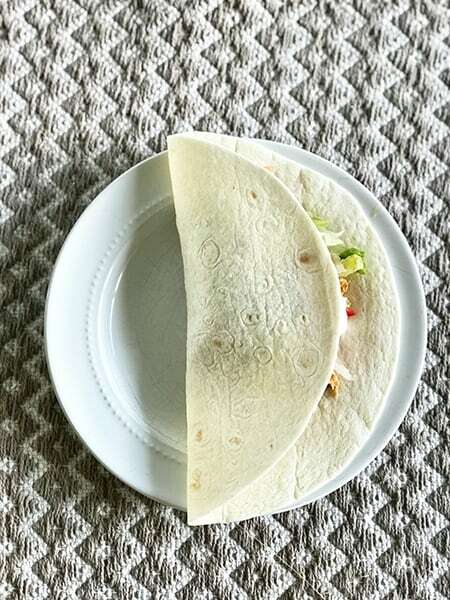 I'm not gonna lie, I am just about done with food for today. 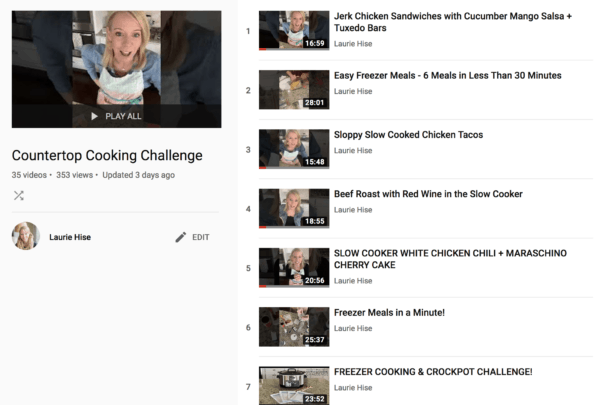 Countertop Cooking Challenge Day 3: New Video + Freezer Challenge Is Tonight! February 13, 2019 by Laurie Leave a Comment This post may contain affiliate links, which means if you click on a link and purchase something, I may earn a small commission (at no additional cost to you.) See my disclosure policy HERE. 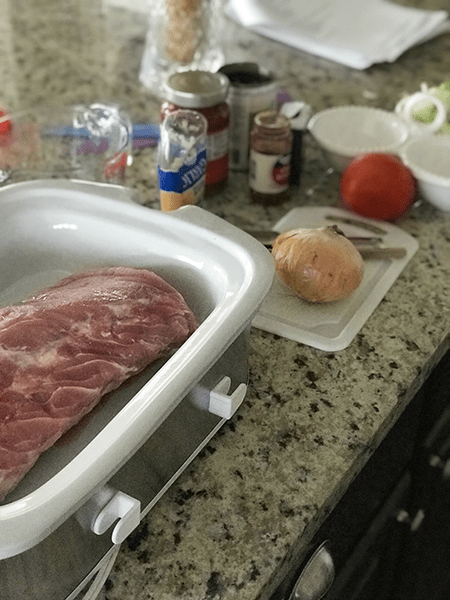 We finished up day 3 of our Eat at Home Countertop (crockpot!) Cooking Challenge and I am loving using these menu plans this week. 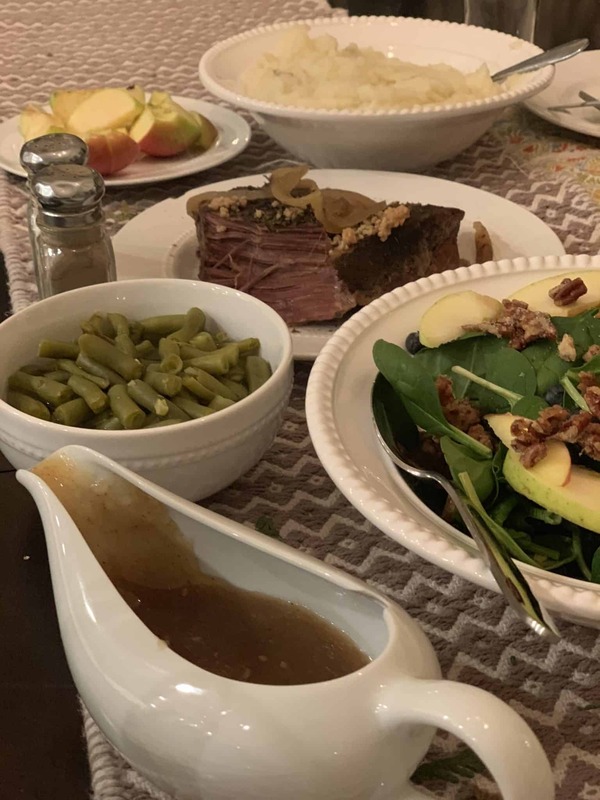 Last night we made the slow cooker beef roast, spinach salad with spiced nuts, green beans and had leftover maraschino cake for dessert, and dinner has never been so good. I still have to go pick up more black beans (actually, Instacart is delivering them this afternoon along with my groceries for our freezer cooking challenge tonight), so I feel like I've totally won at mom-life today! >>> If you'd like to join me, I'd sure love to have you hop in and do menu planning with me! To join in the challenge this week, USE THE CODE COUNTERTOP AT CHECKOUT TO GET THE BEST PRICE TODAY. February 12, 2019 by Laurie Leave a Comment This post may contain affiliate links, which means if you click on a link and purchase something, I may earn a small commission (at no additional cost to you.) See my disclosure policy HERE. >>> If you'd like to join in the fun this week, USE THE CODE COUNTERTOP AT CHECKOUT TO GET THE BEST PRICE TODAY ~ I know you will love these! <<< And don't forget, we'll be doing a LIVE FREEZER COOKING SESSION WEDNESDAY, 2/13/19 at 8:30 PM Eastern Time using these menu plans ~set your alarm and join me! I just love when we do an Eat at Home Challenge! Last night we enjoyed the yummiest little meal (my family was so happy! Well, except for one who was not willing to try her beans . . . but picky eaters are picky eaters and I'm pretty sure that happens in just about every home out there . . .). And tonight I cannot even wait to try this Beef Roast with Red Wine, Mashed Potatoes and Spinach Salad. It took me about a minute to dump everything in Mrs. Potts and we'll make the mashed potatoes at dinnertime tonight. >>> If you'd like to join me, I'd sure love to have you here! To join in the challenge this week, USE THE CODE COUNTERTOP AT CHECKOUT TO GET THE BEST PRICE TODAY. 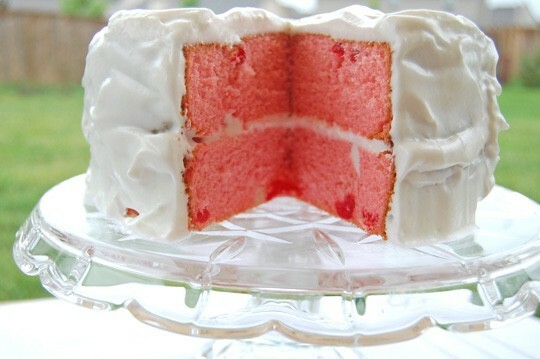 Countertop Cooking Challenge Day 1: New Video + This Cake! February 11, 2019 by Laurie Leave a Comment This post may contain affiliate links, which means if you click on a link and purchase something, I may earn a small commission (at no additional cost to you.) See my disclosure policy HERE. I'm just a wee bit excited about getting dinner done this week! 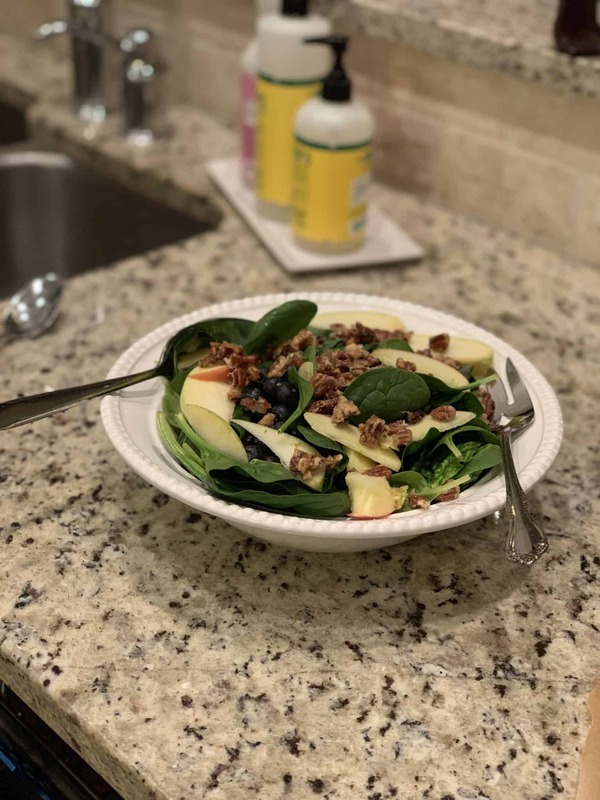 I love using my Eat at Home meals all the time, but I just stay a wee bit more on track when we do a challenge week, so it makes me so happy when you join in and make dinner with me too. Tonight we're having the Slow Cooker White Chicken Chili and Maraschino Cherry Cake from the Eat at Home Week of 2/11/19 Slow Cooker meals, and goodness, my home smells so good. 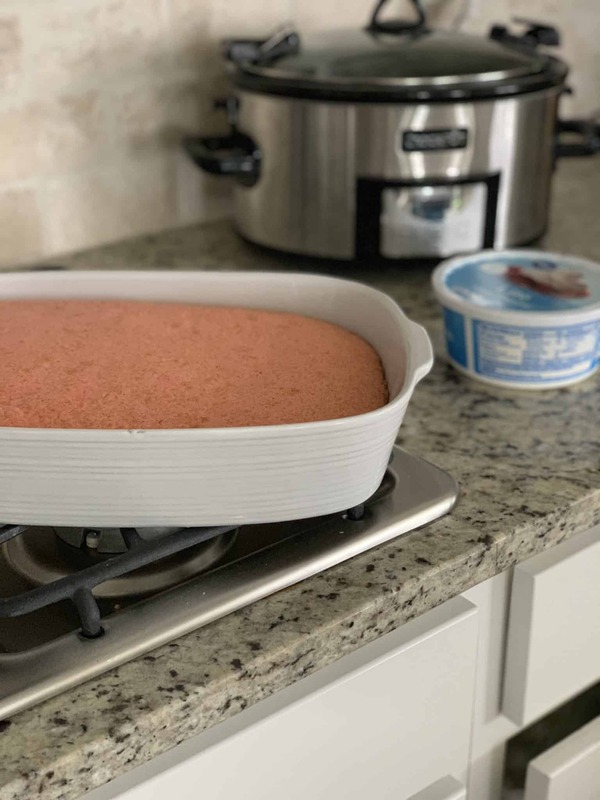 I'm also going to go ahead and make some cornbread (my husband will be so happy because I never make cornbread), and I noticed that she has her cornbread recipe in the 2/18/19 slow cooker recipes. Since I'll have plenty of cornmeal left over from tonight's meal, I figure it's worth testing it out! Would you like to join me this week? Here's what you'll get when you sign up! September 21, 2018 by Laurie Leave a Comment This post may contain affiliate links, which means if you click on a link and purchase something, I may earn a small commission (at no additional cost to you.) See my disclosure policy HERE. 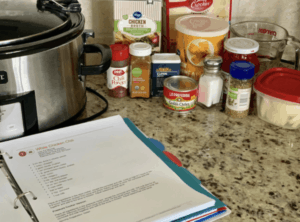 Back to School Fast-Batch Cooking Challenge! 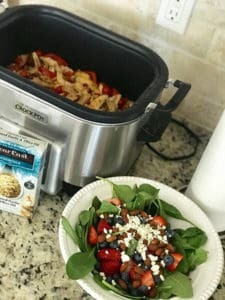 I am loving this week's Fast-Batch Eat at Home Challenge! If you missed my Facebook Live this morning, watch it HERE! I can't even tell you how much my family has enjoyed dinnertime this week. It makes this momma-s heart so much happier than you can even know. While we're pretty good about not eating out most nights of the week, I'm the worst about not having a plan in place when I'm not challenged to make yummy meals, so this was a great jumpstart into fall menu planning for me. Honestly, most nights we're in such a hurry with everyone running different directions, and I fail to put enough intention into preparing a well-planned out meal for my bunch. 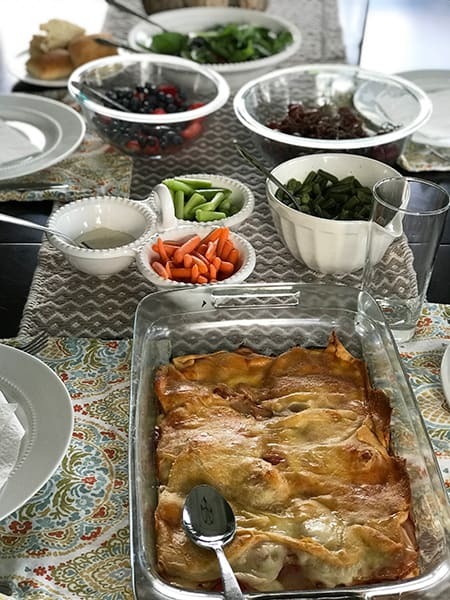 Especially now that Jackson's headed to college, I often think setting the table and just preparing for dinner isn't all that important for our family (my girls are always heading different directions at night!). This week though I've been reminded me of just how much we need this time each day, even if just for a few sacred minutes. 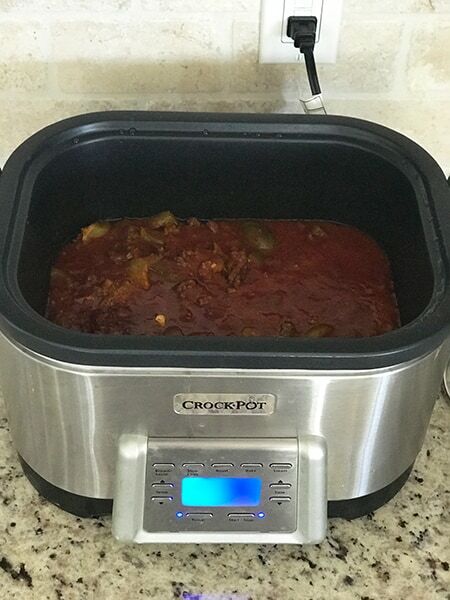 So, my slow cooker sloppy joes are in the crockpot, last night's dinner was fantastic and the overall feel in my home is just a happier place. I love having different menus to choose from every week, and goodness, our dinners have just been so yummy this week! 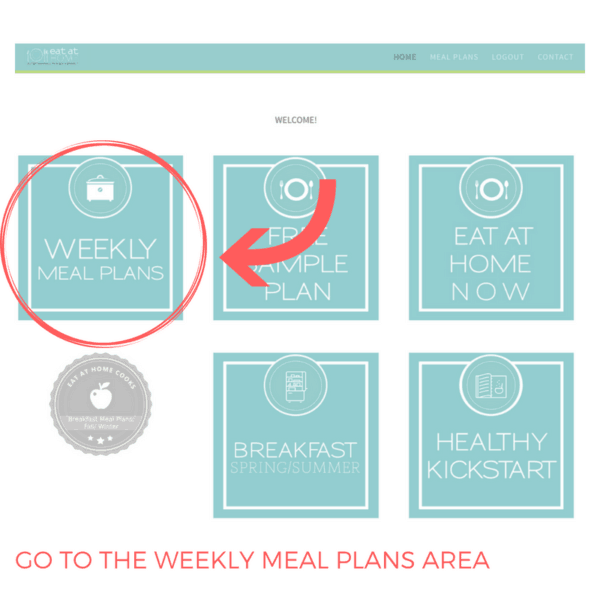 Whether you use a menu plan like Eat at Home or not, I encourage you to really (really!) 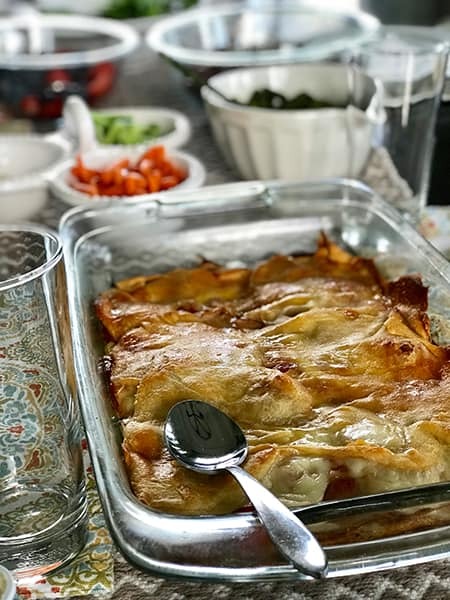 make a point to do menu planning each night of the week, because it really is such an important time for your family to slow down, enjoy a yummy meal, and re-connect. While I know so many of us cook meals at home to save money, it also is so important to just feed your family well, care for those you love most, and take a few minutes to stop and just enjoy one another. I hope this week you've been encouraged and inspired to really tackle menu planning in your home too (I know it's been an incredible blessing for me! ), and I can't wait to start planning for next week too. I'd love to hear if you're working on your menu plans as well ~ I'm cheering for you! September 20, 2018 by Laurie Leave a Comment This post may contain affiliate links, which means if you click on a link and purchase something, I may earn a small commission (at no additional cost to you.) See my disclosure policy HERE. 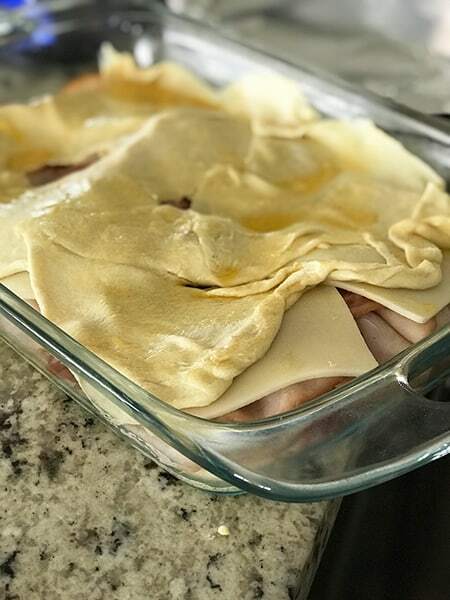 Tonight we're having Tiffany's Kentucky Hot Brown Bake, and I can't even wait to taste this one (it's the reason James decided we needed to try the traditional plans out this week). I love having different menus to choose from every week, and so far everything I've made all week long has been soooooo good! If you've joined us this week I'd love to hear how it's gone for you ~ leave a comment to share! 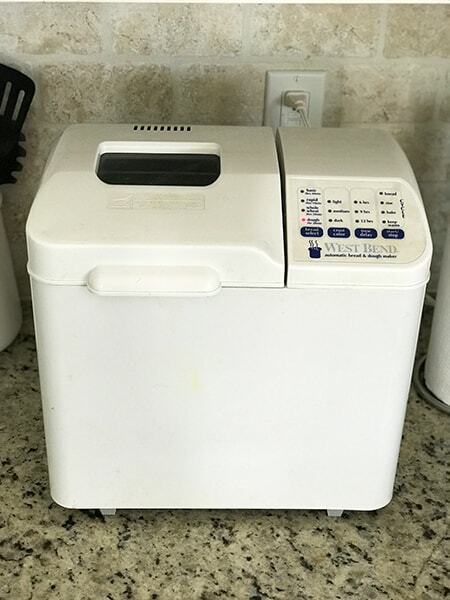 Feel Like A Hot Mess Express in the Kitchen? I can help. September 19, 2018 by Laurie Leave a Comment This post may contain affiliate links, which means if you click on a link and purchase something, I may earn a small commission (at no additional cost to you.) See my disclosure policy HERE. 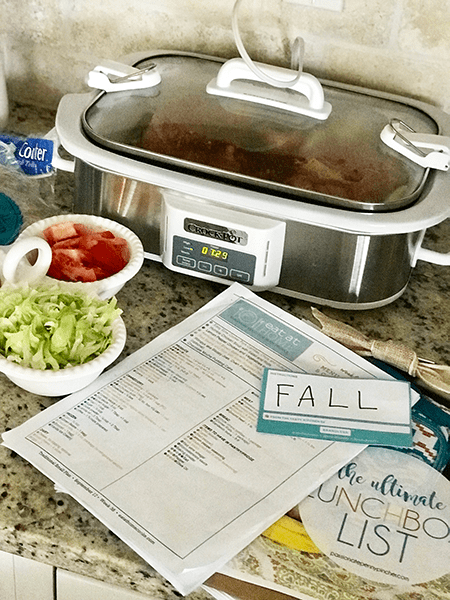 If you haven't already, use the code FALL at checkout to save 30% on Eat at Home Menu Plans: I made the Eat at Home September Slow Cooker Freezer Meals today, and will make the traditional meal plans all next week from September 17th! And, if you sign up for the ANNUAL PLAN TODAY you'll be included in our PPP Private Eat at Home Group. I'm excited for you! 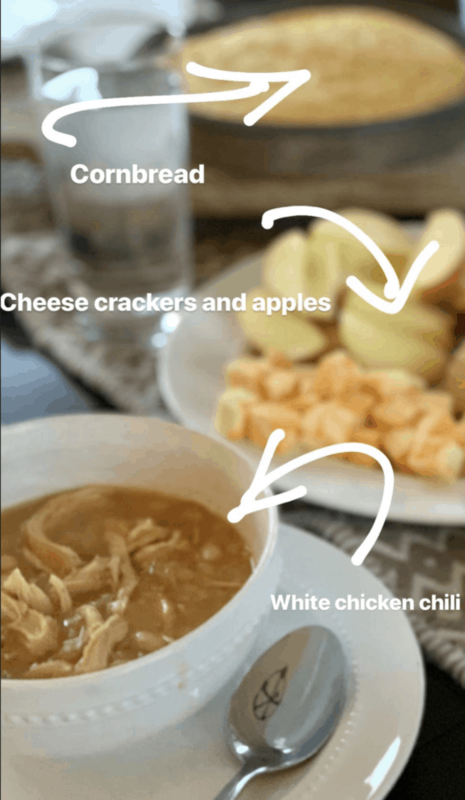 I am loving this week's Eat at Home Challenge! If you feel like a hot mess express in the kitchen, I soooo hope you'll consider joining me. 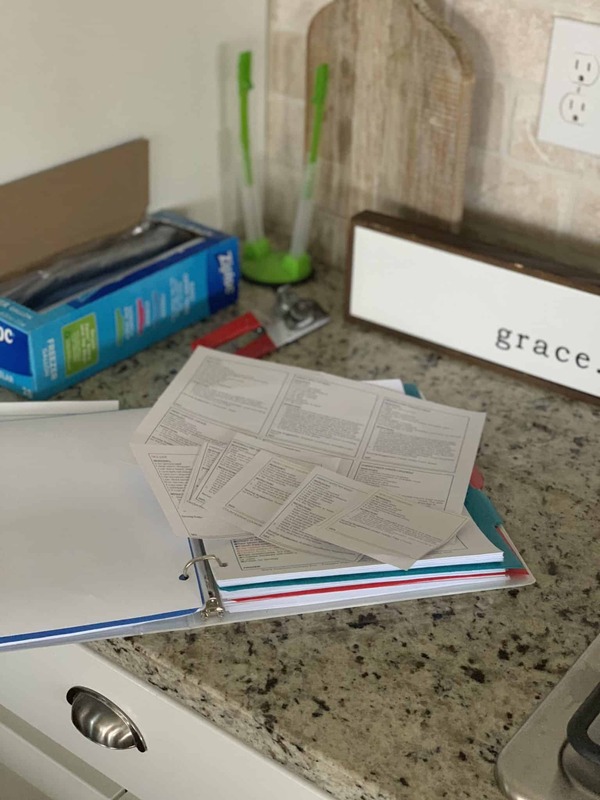 That's why I can hardly wait for you to join the Eat at Home Menu Plans with me, because I've felt like a hot mess express in the kitchen too, but my friend Tiffany has made my life sooo much easier with these menu plans. 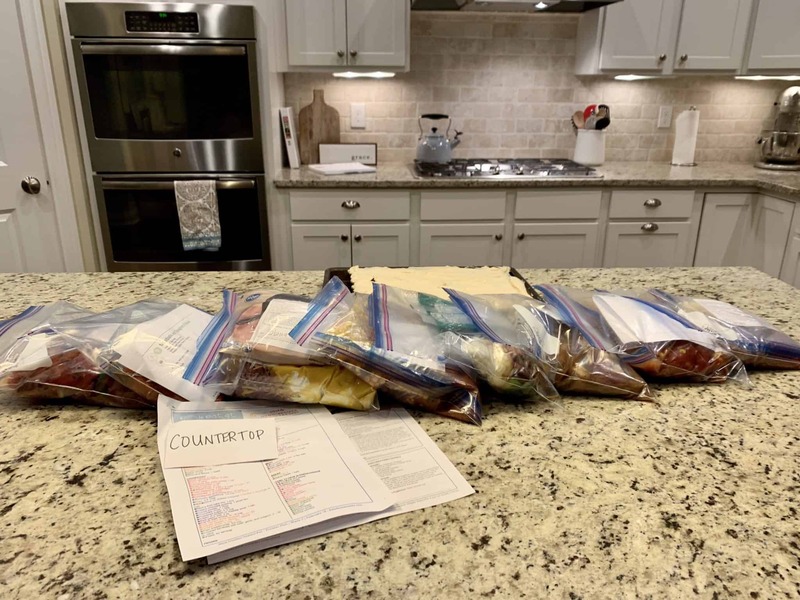 I mark off what I already have at home in my pantry fridge and freezer from the super-easy list Tiffany has already created for me. I pick up my groceries, then make dinner every night of the week. I skip the drive-thru, my family gets well balanced meals at home, and I save hundreds of dollars each month eating at a restaurant or throwing away food because I didn't have a plan in place. The cost of the Eat at Home Menu Plans goes up TONIGHT, so you have just a few hours left. Get them for as low as $1.13 per week when you use the code FALL at checkout (which saves 30% ~ the lowest price we'll see for awhile!!) 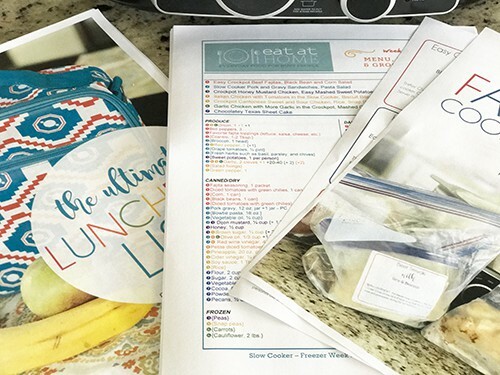 And, I'll send you my FREE Lunchbox List + Printable Freezer Labels for this month when you sign up too. Leave a comment if you have any questions at all. I'm happy to help! September 18, 2018 by Laurie Leave a Comment This post may contain affiliate links, which means if you click on a link and purchase something, I may earn a small commission (at no additional cost to you.) See my disclosure policy HERE. If you haven't already, use the code FALL at checkout to save 30% on Eat at Home Menu Plans: I made the Eat at Home September Slow Cooker Freezer Meals today, and will make the traditional meal plans all next week from September 17th! And, if you sign up for the ANNUAL PLAN you'll be included in our PPP Private Eat at Home Group. I'm excited for you! Goodness gracious . . . I am loving our cooking challenge this week. 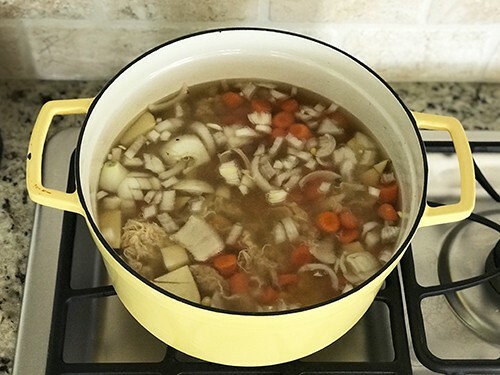 My home smells divine with yummy soup on the stovetop, homemade bread is baking in the oven, and my family will get a yummy meal with so little prep work on my part. If you missed my Facebook Live you can watch it HERE! 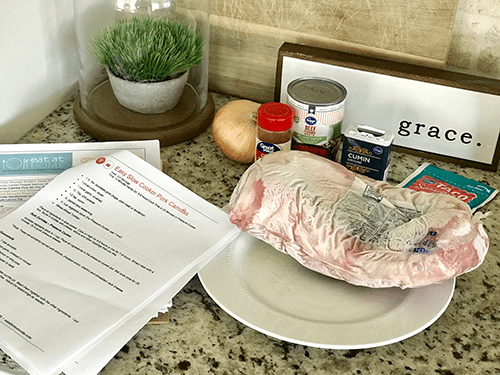 We also had these yummy pork carnitas last night from the Eat at Home Meal Plans (week of September 17 traditional meals), and my husband loved them too. Would you like to join me for the challenge? 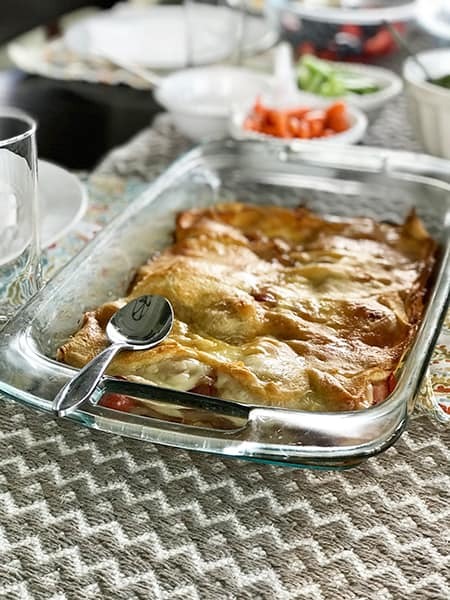 The thing I love most about these menus is that Tiffany includes all the freezer cooking meals, NO flour NO sugar meals, slow cooker meals, traditional meals, traditional meals and wholesome traditional foods menu plans ~ 92 menu plans each month! So, you can pick and choose ~ I knew my family would love the traditional meals this week, so they're what we're using but you can choose from any of the lists! I also made several freezer meals last week, so I have no excuse not to get dinner done. September 17, 2018 by Laurie Leave a Comment This post may contain affiliate links, which means if you click on a link and purchase something, I may earn a small commission (at no additional cost to you.) See my disclosure policy HERE. 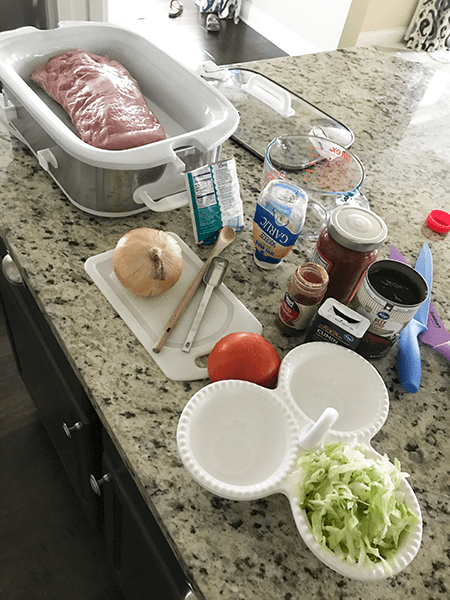 Oh my gracious . . . . these Slow Cooker Pork Carnitas are SOOOOO good, and are so simple to make too! This week I'm challenging myself (and you!) to make a real meal at home every single night, no excuses.
. . . and I'm thrilled to get this one done. The problem though, is that every once in awhile I forget to actually do the work. Even though it's not all that much work, I get out of the habit of getting the grocery shopping done, and life in our family just suffers for it. Because like it or not, my family is just a wee bit happier when dinner is guaranteed, and for now I'm the one who's in charge of that. So this week I'm challenging myself (and you!) to skip any reason at all to just eat PB&Js for dinner. September 14, 2018 by Laurie Leave a Comment This post may contain affiliate links, which means if you click on a link and purchase something, I may earn a small commission (at no additional cost to you.) See my disclosure policy HERE. 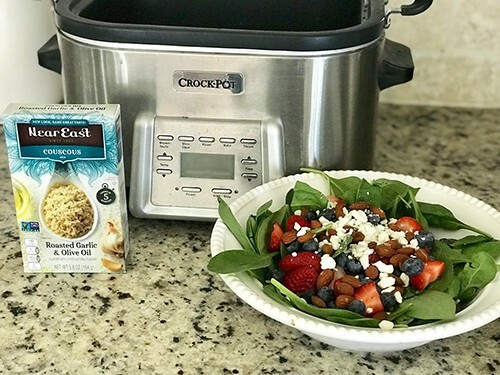 DON'T FORGET: Use the code FALL at checkout to save 30% on Eat at Home Menu Plans: I made the Eat at Home September Slow Cooker Freezer Meals today, and will make the traditional meal plans all next week from September 17th! And, if you sign up for the ANNUAL PLAN you'll be included in our PPP Private Eat at Home Group. I'm excited for you! 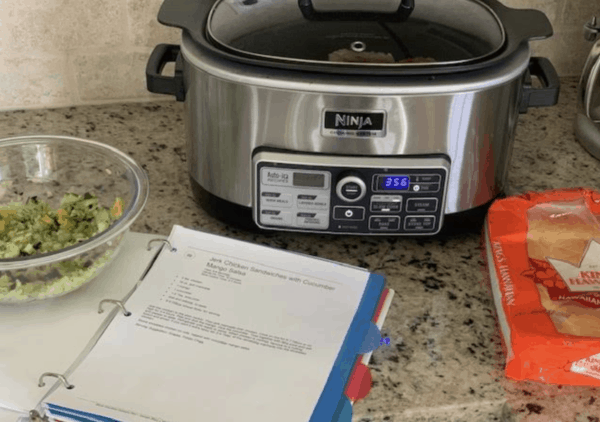 I'm so excited that we've finished up the first day of our Fast Batch Cooking Challenge! If you feel like you're wasting money, time, and food every single week at the grocery store, this is just for you. 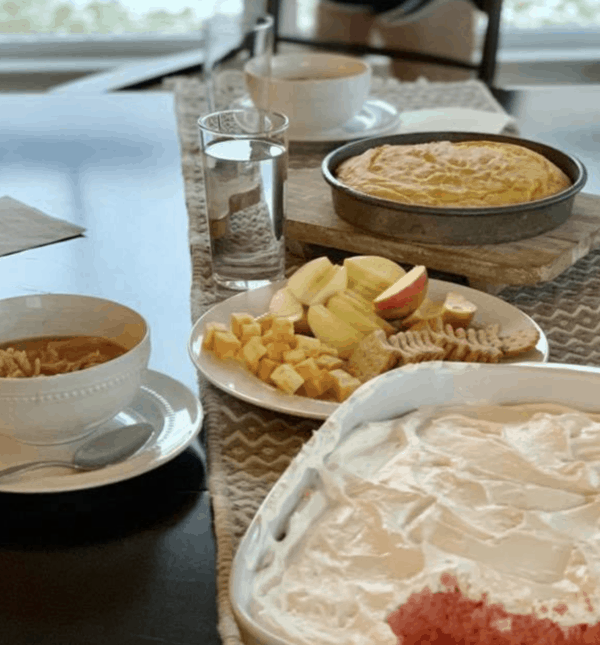 It's so easy to have great intentions of eating at home, but get sidetracked with busy weeknight activities, a sick kiddo, or a late night event. Or, we decide that we want to skip out on menu planning before heading to the grocery store and walk into the store with no plan in place. Eat at Home is here to help! As a busy working mom this has made getting dinner done so. much. easier. And saved us countless meals out which is a huge bonus for our family. 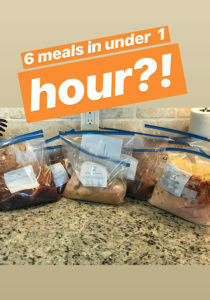 Today my goal was to prepare 6 freezer meals, and I finished them up (prep work and all!) in under 1 hour. 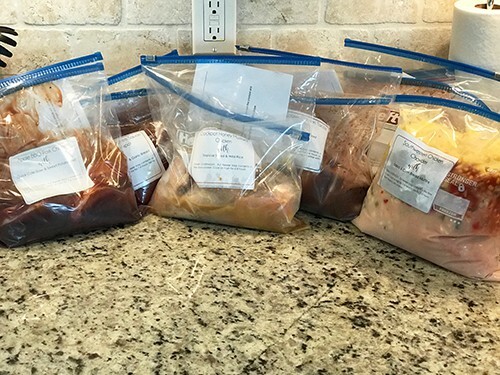 I have loved having freezer meals to grab all summer after making them last May in our last Freezer Cooking Challenge, and I'm thrilled to have some of this work behind me. 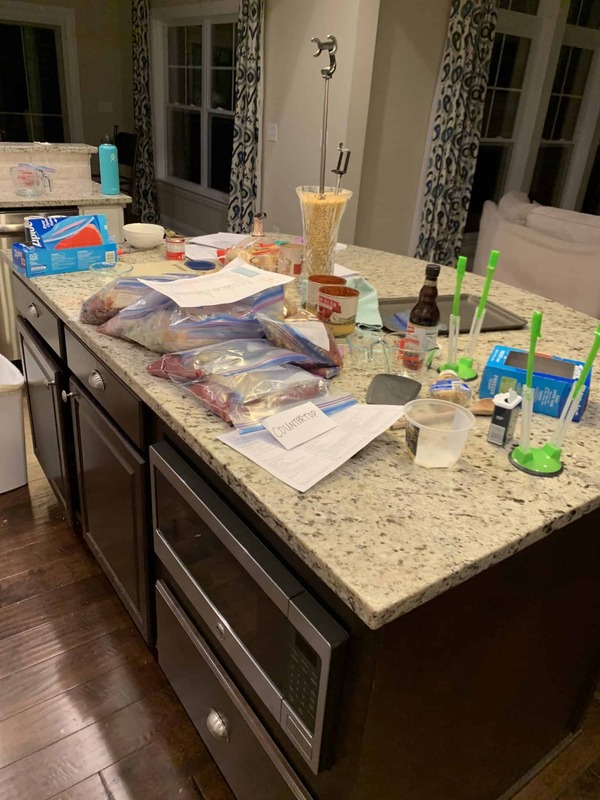 It is a wee bit of a mess while the process is going, but these meals have transformed getting dinner done in our home! Now that the freezer cooking portion of the challenge is done (woot!) 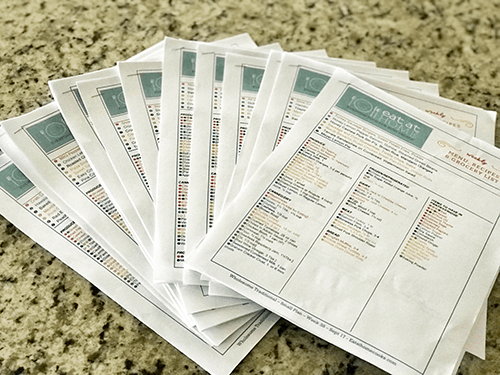 we'll be using the Eat at Home Menu Traditional Meal Plans to cook through next week. 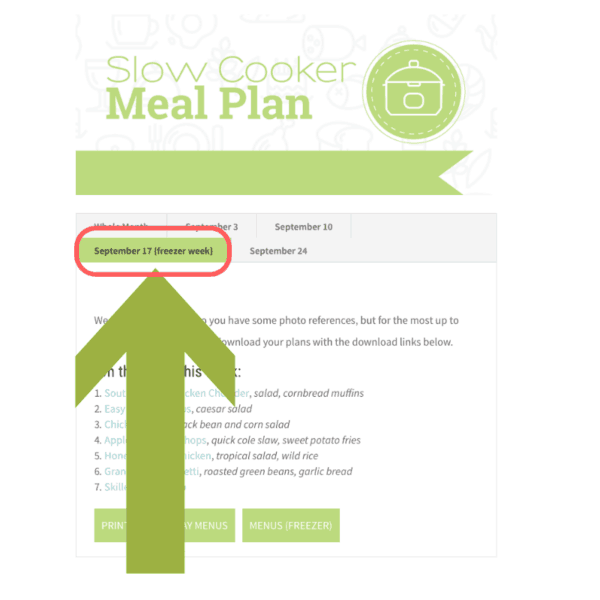 If you'd like to try out the freezer meals I made today, they're in the week of 9/17/18 Slow Cooker Section of Eat at Home's Menu Plans. 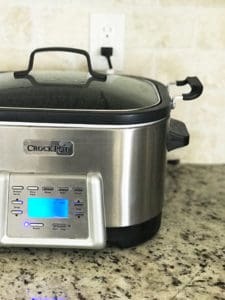 She includes a set of freezer meals once a month in the slow cooker section, and I absolutely love that option! This price is ONLY AVAILABLE FOR A SHORT TIME, so you'll need to order soon if you're interested! I've been using Tiffany's menu plans all year, and I promise they've transformed our grocery budget. It's crazy the difference menu planning can make on what you spend each week at the grocery store. I wanted to make sure that you have exactly what you need to get started so here are the EXACT nitty gritty details. In case you haven't gotten them already, all of the menu plans are available HERE ~ just use the code FALL at checkout to save 30%! 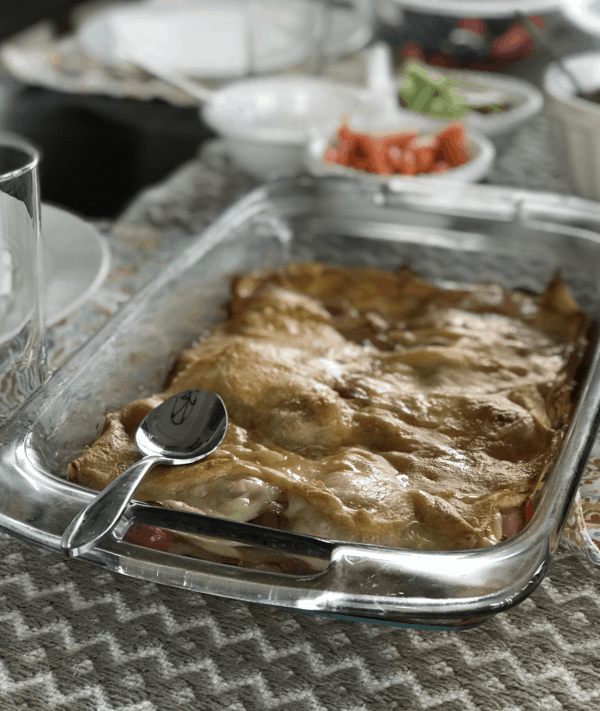 If you sign up for the annual plan you'll be included in our Private PPP Eat at Home Group! The best part? 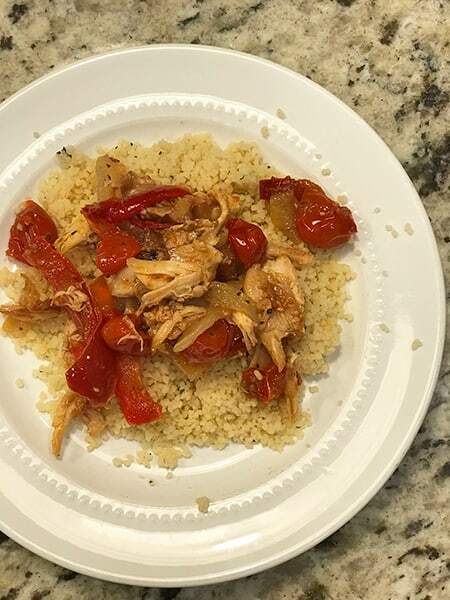 You'll get all the freezer cooking meals, NO flour NO sugar meals, slow cooker meals, traditional meals, traditional meals and wholesome traditional foods menu plans ~ 92 menu plans each month! I promise, you'll love these lists ~ use the code FALL at checkout to start saving!! 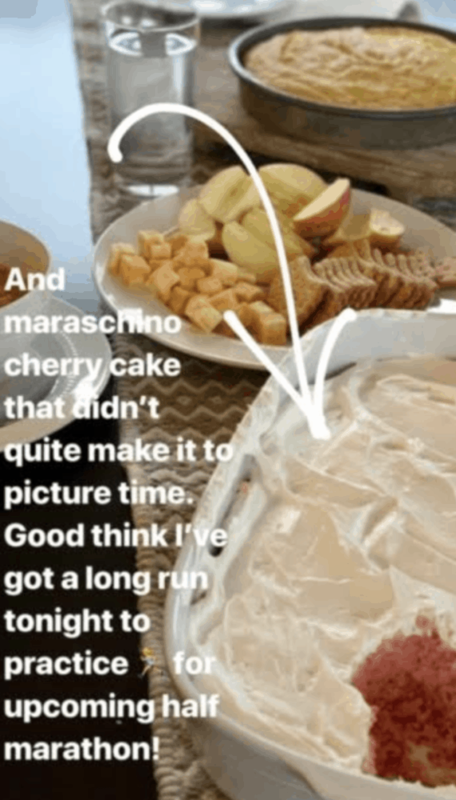 September 13, 2018 by Laurie 8 Comments This post may contain affiliate links, which means if you click on a link and purchase something, I may earn a small commission (at no additional cost to you.) See my disclosure policy HERE. 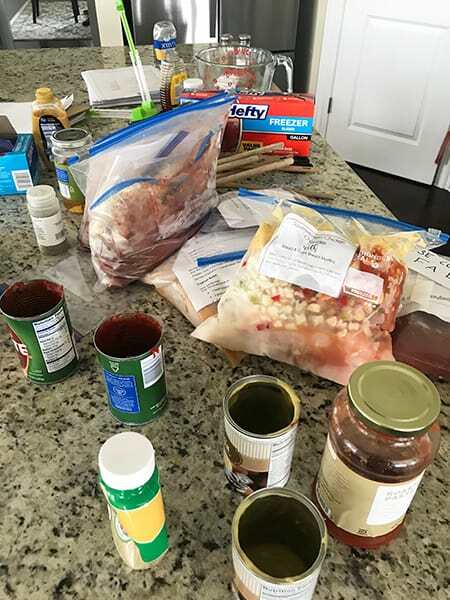 UPDATE: OUR BACK TO SCHOOL FAST BATCH FREEZER COOKING CHALLENGE BEGINS TOMORROW AT 9:30 AM EASTERN TIME! 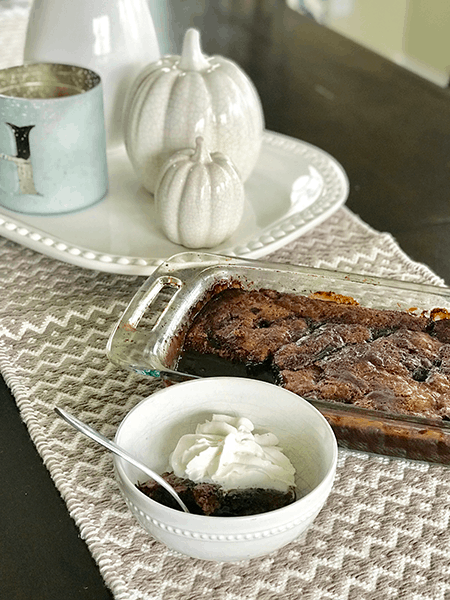 To join me use the code FALL at checkout to save 30%, and if you sign up for the ANNUAL PLAN you'll be included in our PPP Private Eat at Home Group. I'm excited for you! Good gravy . . . 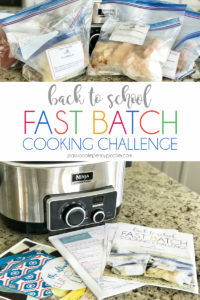 I'm so excited for the Back to School Fast Batch Cooking Challenge starting in just a few days! Beginning this Friday, 9/14/18 we'll start our Back to School Fast Batch Cooking Challenge, where we'll make 6 slow cooker freezer meals AND we'll make dinner every single day next week. This price is ONLY AVAILABLE FOR A SHORT TIME, so you'll need to order soon if you're interested! I've been using Tiffany's menu plans all year, and I promise they've transformed our grocery budget. It's crazy the difference menu planning can make on what you spend each week at the grocery store! If you're planning on making the full menu plan with me, you'll need to get ahead on your shopping this week so you can be ready to go Friday morning at 9:30 AM Eastern Time. To make life go easier, prep your veggies ahead of time each morning if you're able. The best part? You'll get all the freezer cooking meals, NO flour NO sugar meals, slow cooker meals, traditional meals, traditional meals and wholesome traditional foods menu plans ~ 80 menu plans each month! I promise, you'll love these lists! September 1, 2017 by Laurie Leave a Comment This post may contain affiliate links, which means if you click on a link and purchase something, I may earn a small commission (at no additional cost to you.) See my disclosure policy HERE. If you missed my Facebook Live video this morning you can watch it over HERE. I'm so excited about this! 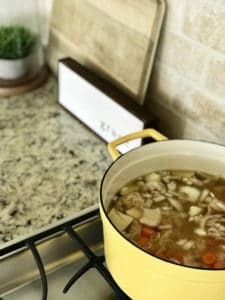 My friend Tiffany from Eat at Home Cooks is offering her Monthly Menu Plans on sale right now (as little as $4.08 per month), when you use the code PPP25 at checkout! 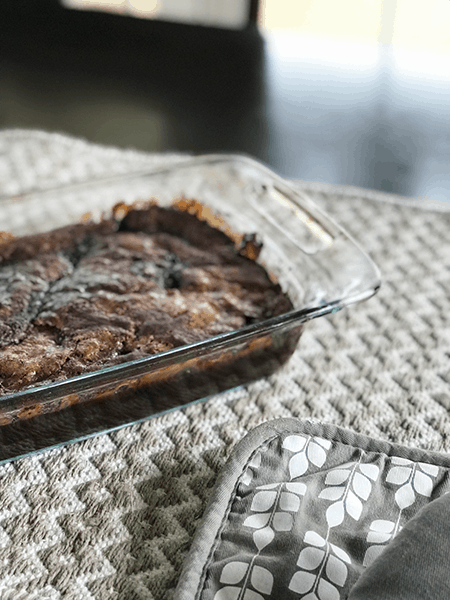 I've made sooooo many of Tiffany's recipes this year and loved them, and I love that she's put them all together with easy lists and simple instructions to make grocery shopping and menu planning so much simpler. 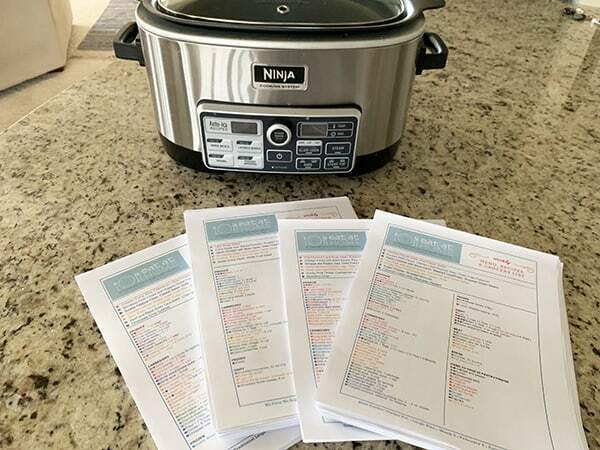 I printed off our menu plan at the beginning of the week this week when starting our Fast Batch Cooking Challenge (INCLUDING RECIPES & GROCERY LISTS) and in about 2 minutes dinner was planned and my family (especially my husband!) has absolutely loved it. I personally purchased the annual subscription a year ago, and our family has loved using it! 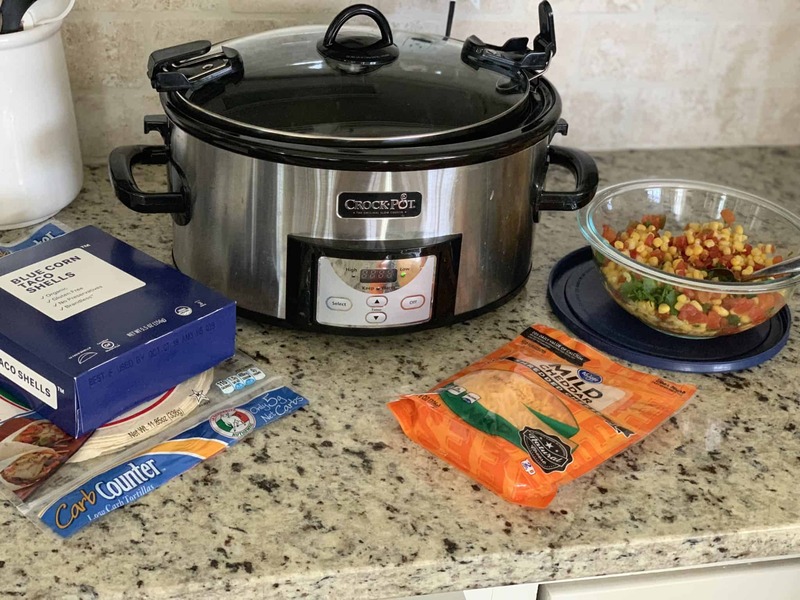 While we used the Slow Cooker and Freezer meals this week, we'll use the Whole Food menu plan next week, and you can select ANY of the menu plans she has, including a traditional recipe plan, slow cooker plan and a whole food option. 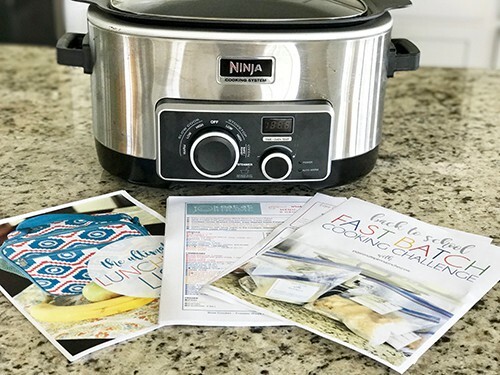 The best part is that once you sign up you have access to all of the menu plans, so this is such a great way to dry out different recipes and see what your family loves! Tonight we had the Slow Cooker Bean & Beef Topped Baked Potatoes (although we swapped things around a bit and did Bean & Beef Topped Nachos since my family was in a hurry to get out to the football game tonight), and this was another winner at our house. Normally on a Friday night we head out to eat and easily spend $40 to have dinner. But instead we ate at home, saved a bundle, and my hubby even enjoyed the last slice of Texas Sheet Cake for dessert. Head on over HERE to download yours, and if you've tried Eat at Home menus in the past I'd love to hear your thoughts. Go HERE and be sure to use the code PPP25 at checkout to get started! I promise you will save every penny and more, and your family will eat well. This code will only last through the weekend, so be sure to take advantage of it while it's available ~ I promise you'll love this one! You'll get all the freezer cooking meals AND monthly sets of slow cooker meals, whole foods meals and traditional menu plans ~ 72 menu plans each month! I promise, you'll love these lists! August 31, 2017 by Laurie Leave a Comment This post may contain affiliate links, which means if you click on a link and purchase something, I may earn a small commission (at no additional cost to you.) See my disclosure policy HERE. 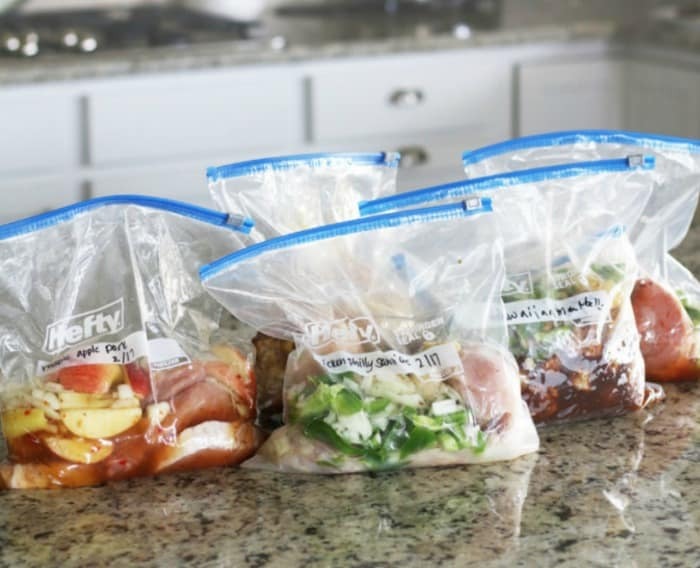 I'm thrilled to have one more day of our Back to School Fast Batch Freezer Cooking Challenge completed! It took so much less time to throw these together since I'd already made a batch on Monday ~ truly, once you get the hang of freezer cooking it's just so easy to do! Here's how things looked as I was getting all set up . . . Here things are just about prepped and ready to go . 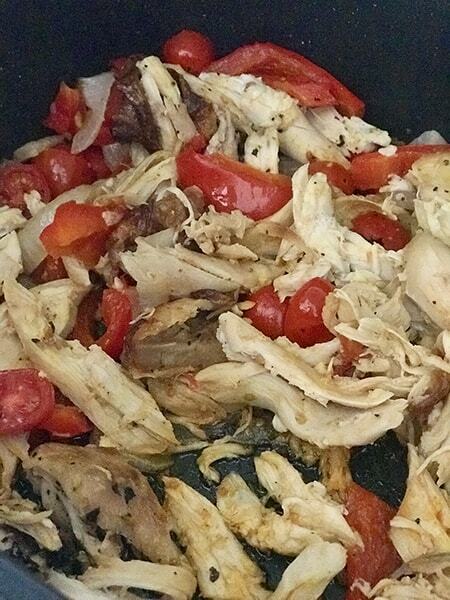 . .
And after about an hour of chopping and dumping, I had six meals done AND dinner for tonight ~ not too shabby! The best part? You'll get all the freezer cooking meals AND monthly sets of slow cooker meals, whole foods meals and traditional menu plans ~ 72 menu plans each month! I promise, you'll love these lists! August 30, 2017 by Laurie Leave a Comment This post may contain affiliate links, which means if you click on a link and purchase something, I may earn a small commission (at no additional cost to you.) See my disclosure policy HERE. Day 3 of our Fast Batch Freezer Cooking Challenge is DONE!!! 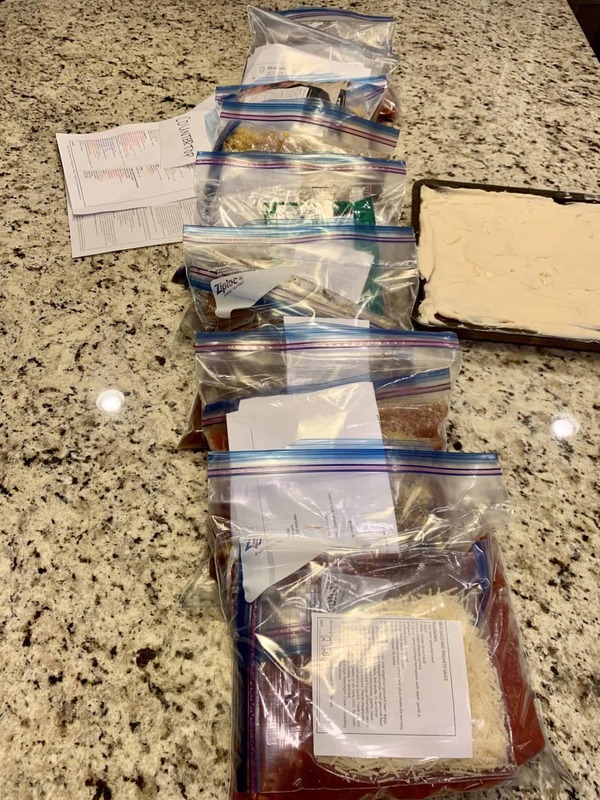 I'm thrilled to have tonight's dinner prepped and made + 1 cake finished + 1 batch of freezer cookies + groceries ordered for tomorrow's Freezer Cooking Challenge. created a disaster in my kitchen . . . 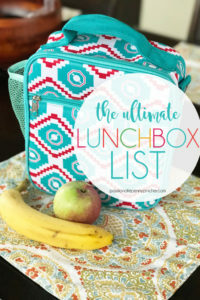 If you'd like to make a few of these recipes too, hurry over HERE and get your FREE Ultimate Lunch Box List and menu plan ~ I promise you'll love this! Don't forget that TOMORROW we'll be doing another Fast Batch Freezer Cooking Challenge, so if you missed freezer cooking on Monday, it's not too late! August 29, 2017 by Laurie 1 Comment This post may contain affiliate links, which means if you click on a link and purchase something, I may earn a small commission (at no additional cost to you.) See my disclosure policy HERE. Day 2 of our Fast Batch Freezer Cooking Challenge is DONE!!! 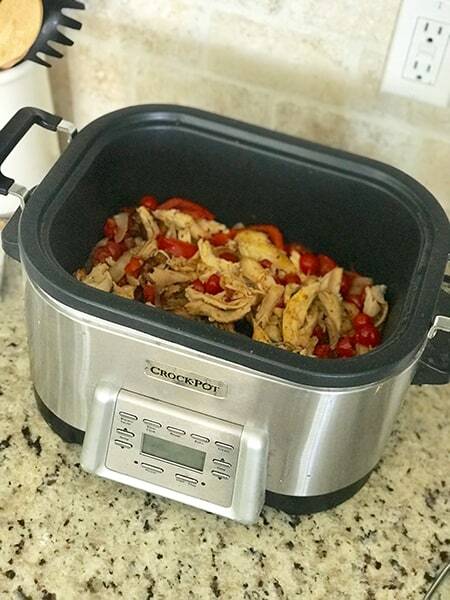 WEDNESDAY – Slow Cooker Hawaiian Barbecue Chicken Sandwiches From Eat at Home Challenge Week of 8/28 , Homemade Chocolate Chip Cookies, Chocolatey Texas Sheet Cake (I'm declaring it National Baking Day ~ at least at our house! August 28, 2017 by Laurie Leave a Comment This post may contain affiliate links, which means if you click on a link and purchase something, I may earn a small commission (at no additional cost to you.) See my disclosure policy HERE. Day 1 of our Fast Batch Freezer Cooking Challenge is DONE!!! It took a LOT of grocery shopping and chopping, but the actual cooking was done in less than 40 minutes, and I love that I've got 6 meals in my freezer ready to go on a busy weeknight. 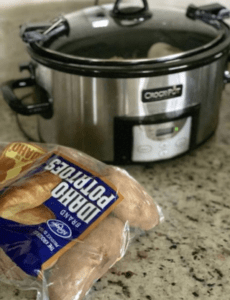 Saturday night I made a MAJOR mistake and forgot to click through to the “order” screen when ordering all my groceries on Kroger Clicklist for today's freezer challenge AND this week's slow cooker meals AND all of our lunch box meals. So, I ended up spending about 3 hours preparing yesterday between grocery shopping, chopping, and sorting everything out when I got home. 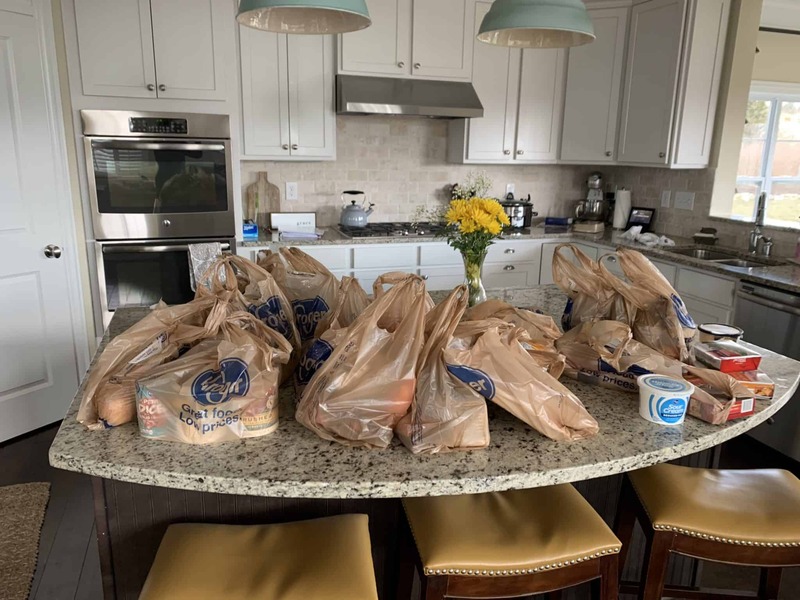 Take advantage of Kroger Click List or Walmart Grocery Pickup when tackling this challenge, and BE SURE TO CLICK THE ORDER BUTTON BEFORE CHECKING UP. 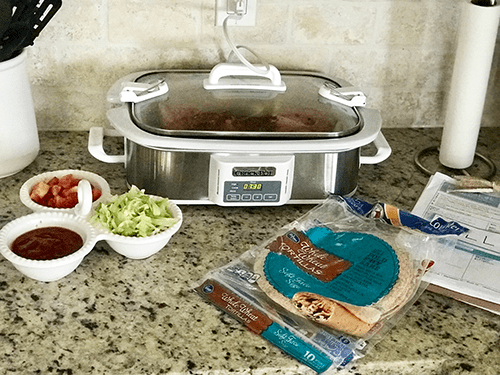 We're having Simple Slow Cooker Taco Meat tonight (we swapped the meat out for chicken), six meals are in the freezer for another week, and I'm loving having dinner done! Wouldn't YOU love to get dinner done too? 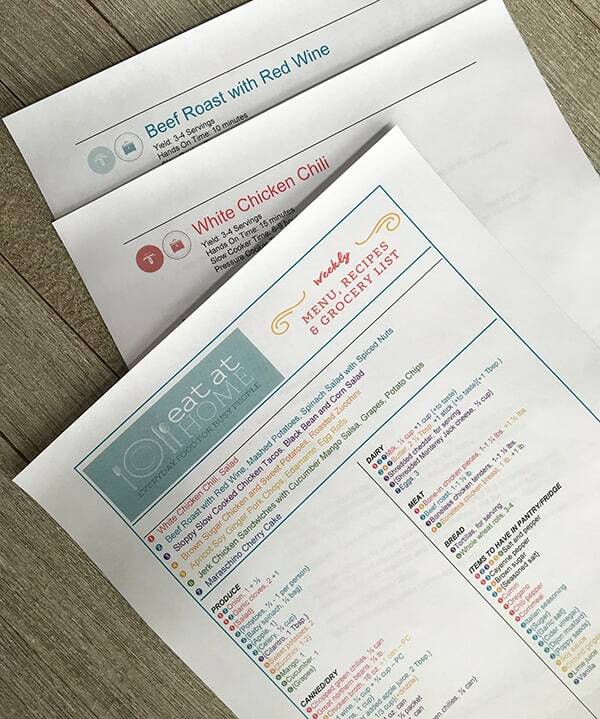 I'm using the menu plans from my friend Tiffany at Eat at Home's Menu Plans, and I really do love them. She creates a grocery list, menu plans, and side dish options so that you can easily get dinner done every night of the week. August 26, 2017 by Laurie Leave a Comment This post may contain affiliate links, which means if you click on a link and purchase something, I may earn a small commission (at no additional cost to you.) See my disclosure policy HERE. Beginning Monday, 8/29/17 we'll start our Back to School Fast Batch Cooking Challenge, where we'll make 6 freezer cooker meals + a week's worth of lunch box meals AND we'll make dinner every single day next week. Update: the code PPP35 is no longer working but you can still use the code PPP25 to save 25%, making the menu plans as low as $1.13 per week. This price is ONLY AVAILABLE TODAY, so you need to order soon if you're interested! I've been using Tiffany's menu plans all year, and I promise they've transformed our grocery budget. It's crazy the difference menu planning can make on what you spend each week at the grocery store! To make life go easier each morning, prep your veggies ahead of time each morning if you're able.